As the Prime Minister’s deadline for triggering article 50 looms ever-closer, many questions about the process and implications of Brexit remain unanswered or unclear. Here, Rebecca Hilsenrath, Chief Executive of the Equality and Human Rights Commission, lays out what Brexit could mean for rights in the UK and what the Government needs to do to create and deliver on a positive vision for our country. Britain has a long history of upholding people’s rights, valuing diversity and challenging intolerance. We, at the Equality and Human Rights Commission, will use the important powers given to us by Parliament to advise the Government on the equality and human rights implications of the changes that will flow from the UK’s decision to leave the European Union to ensure that we maintain and build on this heritage. The Commission welcomes the Government’s commitment that “all protections in equality legislation will continue to apply once the UK has left the EU – there will be no going backwards on this issue.” However, at this moment of significant constitutional change, this is not enough. It is vital that the Government sets out a positive vision for equality and human rights in the UK once we have left the EU. This vision should reflect our shared values and reassure everyone in Britain about the kind of country that we want to be. The Great Repeal Bill will repeal the European Communities Act 1972 and incorporate EU law into domestic law “wherever practical”, thus providing some degree of continuity in otherwise uncertain times. The Government has said the Bill will contain “Henry VIII clauses” to enable Ministers to repeal or amend any laws that originate from the EU, without full parliamentary scrutiny. In some ways, this is expedient as great swathes of our statute book will be reviewed so that inoperable and redundant laws can be adapted. However, Henry VIII clauses in the Great Repeal Bill should not hand Ministers an executioner’s axe to the Equality Act 2010, or to other laws fundamental to our rights, such as parental rights, accessibility for disability people, and data protections. Instead, the Government should confirm its commitment to retaining current protections by making it explicit – on the face of the Bill – that any changes to fundamental rights laws must be scrutinised by Parliament. This is entirely consistent with the Brexit aim of a return to parliamentary sovereignty. It’s crucial that Parliament has robust, objective evidence and analysis to support decisions that will shape our country. One of the “home grown” provisions of the Equality Act 2010 is the Public Sector Equality Duty. To fulfil this duty and support democratic decision-making, the Government should commit to publishing equality and human rights analyses of all proposed changes to laws that impact on people’s rights. We have also asked the Government to analyse the impact of the loss of EU funding on voluntary sector services and academic research on equality and human rights issues. Organisations such as the Equality and Diversity Forum are already collecting evidence, and it will be important for the Government to consider the impacts and ideas for mitigation from the grassroots up, to ensure we build on our heritage of a strong, respected civil society. While the Great Repeal Bill is intended to freeze the UK’s laws in a moment in time, there may be some cracks in our constitutional ice shelf. It’s unlikely that the Charter of Fundamental Rights can be incorporated wholesale into UK law; and the free-standing commitments to equality that run through EU laws could also be lost. We will almost certainly lose the “rights backstop” that the Court of Justice of the EU provides, and the status of future CJEU case law is also unclear. These gaps, to some extent, could be addressed by Parliament adopting a constitutional right to equality, against which any new laws or state actions could be tested to ensure they meet the standards of fairness that are central to our values. The Women and Equalities Select Committee has supported this proposal and we believe its aims will enjoy the support of parliamentarians and the public who consider equality to be a core British value. In recognition that equality is not a concept that can be frozen in time, Parliament could also ensure the UK keeps pace with progress in the EU and elsewhere by adopting the South African model and explicitly requiring UK courts to consider cases from the EU or other comparable countries who share our values, like those in the Commonwealth. As well as not going backwards, we have called on the Government to move forward by strengthening our home grown protections. The Equality Act 2010 was passed with cross-party support and includes provisions that have not been implemented but have the potential to heal the divisions that became apparent around the EU referendum. For example, the socio-economic duty would require some public bodies to consider how policy and funding decisions could address socio-economic inequality. A requirement for political parties to publish diversity information about people who stand for selection and election could help increase diversity in Parliament and re-engage those groups who currently feel disenfranchised by and detached from the political process. As the UK prepares to leave the EU, the Government must reaffirm its commitment to international human rights standards. First, the Government should confirm its commitment to remaining a party to the European Convention on Human Rights. Second, it should consider ratifying Protocol 12 to the ECHR, providing international oversight of the right to non-discrimination. Finally, if the Government takes its global commitments seriously, it should embed the obligations it has signed up to in UN treaties into UK law, and set out how it will implement the raft of UN recommendations to improve, for example, children’s rights, race rights and socio-economic rights in the UK. The UK’s record will be in the global spotlight in May as part of the UN Human Rights Council’s Universal Periodic Review, and other countries’ concerns about what Brexit means for human rights will be a key focus. Ahead of that, the Joint Committee on Human Rights will be considering the recommendations the Commission and others have put forward to strengthen human rights protections in the UK as we prepare to leave the EU. Now is the time for the Government to make clear to UK citizens and the rest of the world that while Britain is leaving the EU, it remains steadfast in its commitment to fairness, equality and upholding people’s rights. 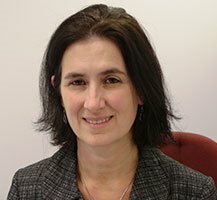 Rebecca Hilsenrath is Chief Executive and Chief Legal Officer to the Equality and Human Rights Commission. She has also established two schools, set up the National Pro Bono Centre in Chancery Lane and has sat on the boards of a number of charities and advice agencies, including the Bar Pro Bono Unit and the Mary Ward Legal Centre. In 2012, she was listed by the Times among the 100 most influential lawyers in the country.